I’ve been looking for a good grill for tailgating, we been using charcoal for the last 10 years, but packing the car, cooking and cleanup have landed in my lap. 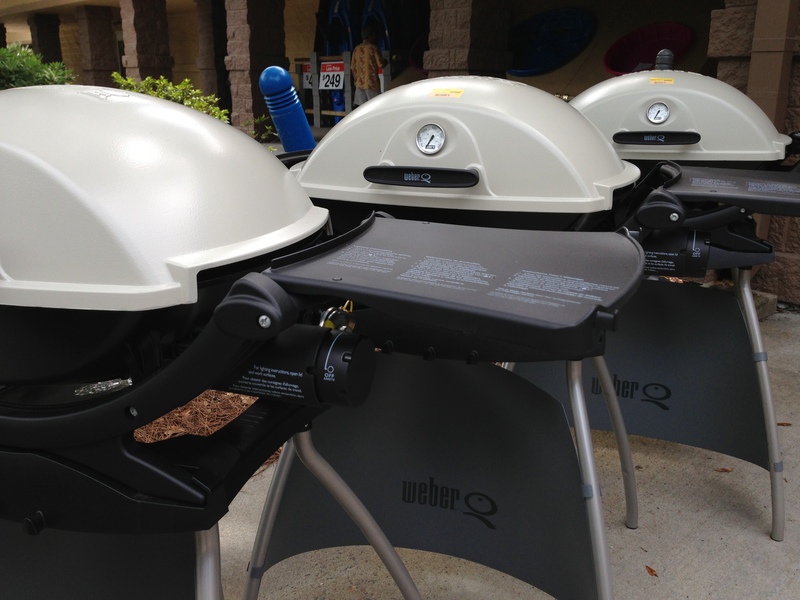 The two choices that would make my life easier would be the Weber Q220 and the Coleman Roadtrip LXX. I am a big Weber fan owning 3- 22.5, 18.5 and a Smokey Joe. When I compare the two Portable gas Grills I keep seeing the same thing that drives me crazy, Coleman touts 22,000 BTU’s (11,000 x 2 burners) on 285 Sq in grill and the Weber states 12,000 BTU on a 280 Sq in grill. Now my buddy just bought the LXX and it just never seems to get hot enough, it takes forever to cook a steak or a 1/2 Lb burger. How much heat can I expect out of the Weber with only half the BTU’s ? Did you ever return the regulator on the Q220 ? Was that the fix ? I have not returned the regulator but have been reading up on it a bit. Seems the regulators are super sensitive. I have had better luck opening the valve to the tank VERY SLOWLY and then letting the grill warm up for 10 minutes or so. Seems to help. It’s not super hot but I really do like the weber construction. Well, Weber is releasing the new line within the next month or so, maybe they will correct the problem.